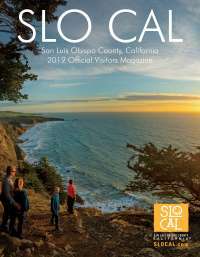 Think SLO CAL is all wine, all the time? Think again. San Luis Obispo County is positively bursting at the seams with great beer, cider and spirits. In SLO CAL, brewing goes back a number of decades (if not further). The craft brewing renaissance and interest in more complex, smaller-batch brews make this region a forerunner of West Coast style IPA, which includes classic recipes for porters and lagers, along with niche offerings like gose, sours and mead. It is also common for community breweries to team up with one another—and with winemakers and distillers as well—to create collaborative batches of beer. Whatever the brew, it never lasts long, so be sure to pick up a growler or six-pack before it’s gone. Many breweries additionally feature live music and food trucks, which pair perfectly with a flight of your choice. For apple lovers, several hard cideries have sprung up across the county, resulting to an endless amount of options. Styles range from easy-sipping, slightly sweet draughts to bone-dry, elegant and nuanced brews that rival the finest of wines. One of the most exciting developments in SLO CAL’s food and drinks scene is the emergence of distilleries, many of which began as a by-product of the winemaking process. While some distilleries focus on traditional grain-based spirits, like whiskey and rye, many distill winemaking’s unusable juice, skins and seeds into sophisticated brandies, gin, grappa and liqueurs. The outcome is a sustainably made, high-end product that can be tasted and purchased throughout the area. So, what are you waiting for? Time to get sippin’.